Lost your TV remote or just too lazy to switch from your phone to the TV remote? No problem as you can easily turn your Smartphone into a TV remote Alternative, which I bet you didn’t know until now. Many newer Android Smartphones have the IR blaster feature which allows you to use your Smartphone to communicate with your TV, Blu-Ray Players, Cable, ACs, Projectors Etc. Sounds pretty awesome right? If your phone doesn’t have an built-in IR blaster, you’ve to install it to your phone externally. Currently only few POPULAR TV brands such as Samsung, Sony, Panasonic, Philips Etc support Smartphone remote controlling but not to worry if you’re using another TV brand, as there is a bit of chance that the remote might work hence worth giving a shot. What’s best about this is the fact that you don’t require any cable or have to make a lot of effort, all you need is an Smartphone with an IR blaster! 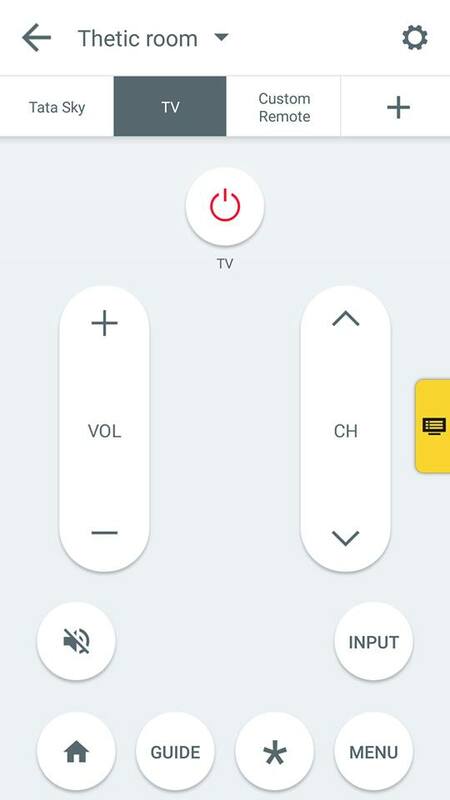 You can find an remote controlling app for your respective TV brand on the Google Playstore easily by searching, but in this article I will be discussing how to control your TV using an Universal TV remote by Peel Technologies. Because it’s easier to use as compared to other remote apps/universal remotes and offers unique features which shows what’s playing on your TV currently right on your Smartphone & allows you to switch to that channel with one press. It’s also available for download on the Google Playstore for everyone to use, doesn’t matter whether your phone has an IR Blaster or not, the TV guide will work which makes it still useful. But before we go ahead, you’re probably wondering what makes this TV remote app ” Universal “? 1. 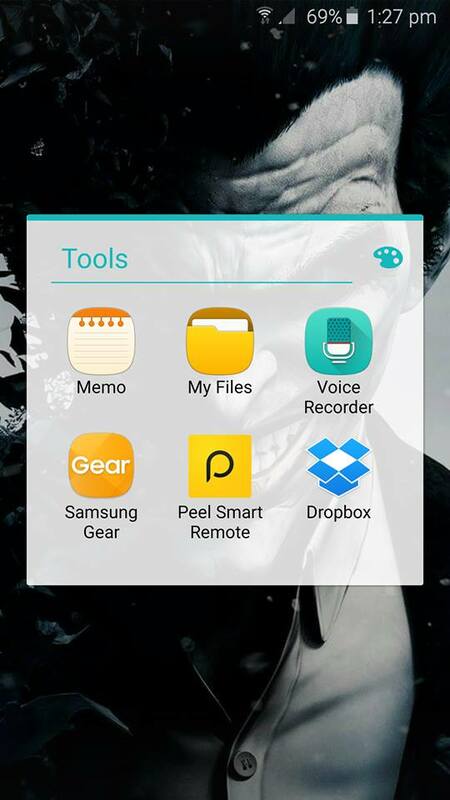 Install Peel Universal Remote TV on your Android Smartphone. 2. 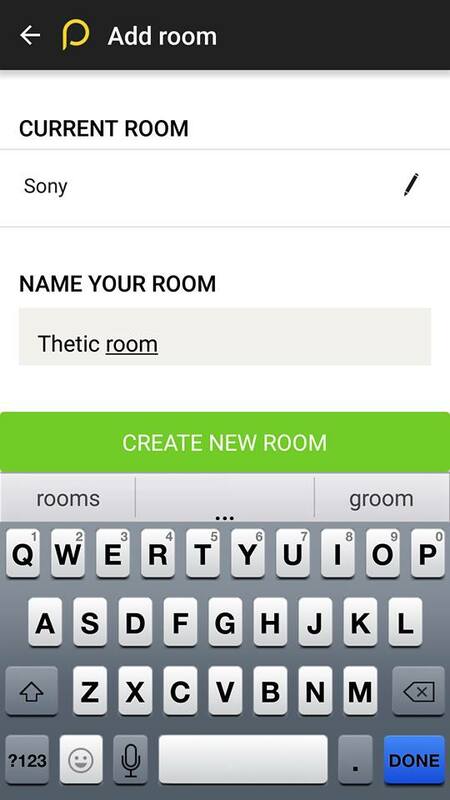 Now you’ve to configure it by adding a ” New Room “. Name the room anything of your choice. E.g: Sony Remote, Samsung remote Etc. before we proceed to setup the devices. 4. Now you’ll be asked to setup TV remote. 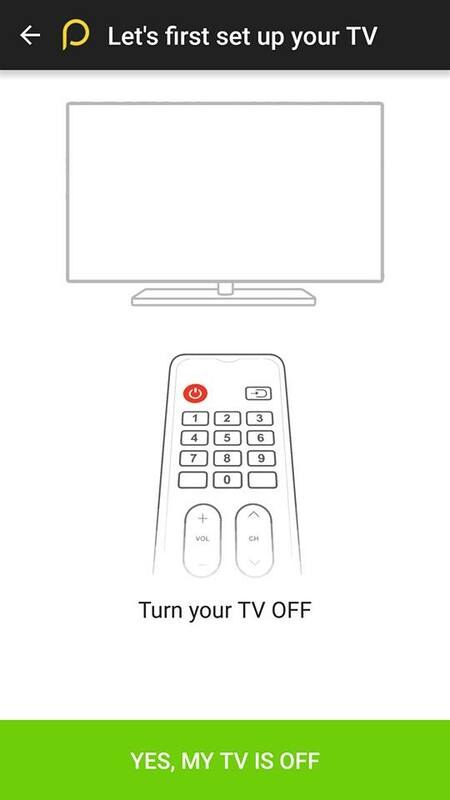 Select your brand, then point your Phone at the TV and press the button to turn your TV On. If it doesn’t turn on, don’t panic and slide to the next button and see if that works, keep switching until one button works. 5. Congratulations, you can now control your TV using your Smartphone! 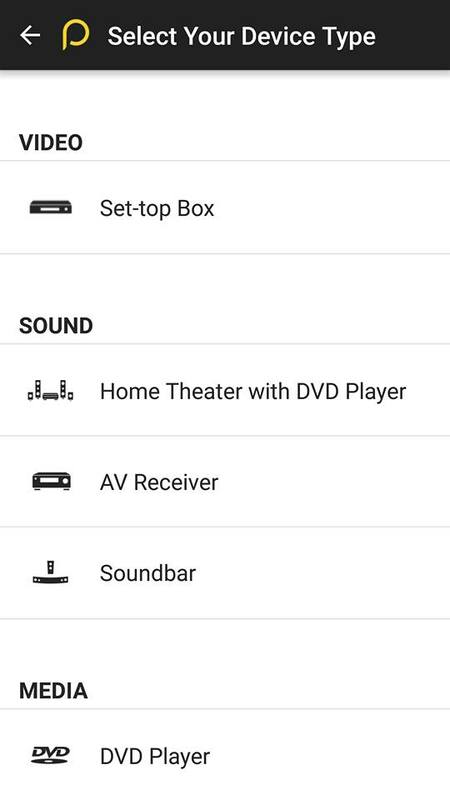 As I mentioned earlier, this universal remote doesn’t just support TV but also other Electronic devices such as Sound Bars, DVD Players, ACs etc. Go to settings and click on the Room you want to assign the remote to. Select the device of your choice and then configure it to finish. Note: If you’re not satisfied yet, browse the settings tab to configure to your choice.